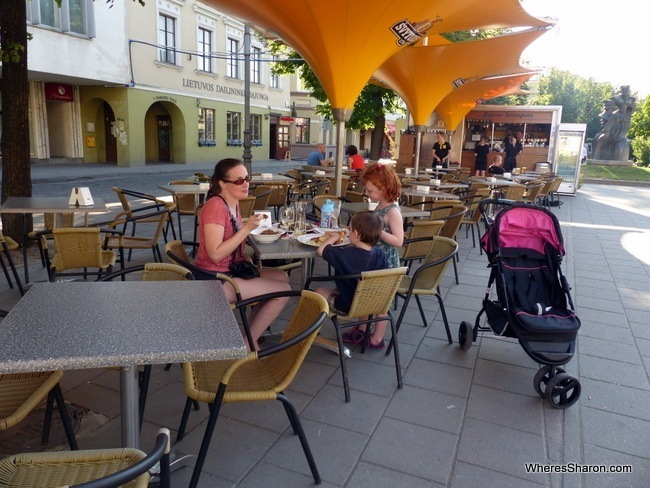 Europe for under 90 Euros/USD$100/AUD$135 for a family of 4 in TOTAL, may sounds impossible but it really isn’t. In fact, it’s not only possible, but it’s possible for mid range travel – no hostels in sight! This was our budget for our recent 3.5 month trip to Europe and we kept to it everywhere we went except Italy although we could have kept to it there too if we had made some adjustments to how we travelled. We even did this trip in high season – across summer from mid June to late September. Flights are not included. We did not fly much at all though. I had many people tell us it wasn’t possible or that it wouldn’t be enjoyable travelling on such a budget. I can understand this as I travelled on a similar budget in 2006 with just one other person and it wasn’t very enjoyable. All I seemed to eat was cheese sandwiches (I still can’t eat them!) and stayed in hostels. The problem was, however, that I didn’t do some of the things mentioned below. 5 5. 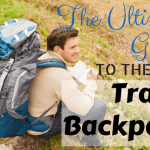 Start a travel blog and offset travel costs in more expensive destinations! The most important key to our success was staying in holiday rentals like the ones on Airbnb. I love a good hotel but they cost so much more money than a holiday rental and a holiday rental is more practical for a family. You can also bargain the price which is something I do a lot and definitely recommend. We just about always get a yes to not paying for the kids or getting a discount for a longer stay. You can read some tips on how to save money with Airbnb here. We stayed in 1-2 bedroom apartments in central locations (usually in Old Towns), had internet and a washing machine and usually paid about 35 Euros a night. All the places were great and we had no problems. The next important rule is to travel slowly. Even the cheapest transport adds up a lot when buying 4 seats. We had many one week stops which helped minimise this cost and we tried to travel within the same region to keep distances and costs down as well. Travelling slowly also saves money on accommodation. With Airbnb, accommodation is generally cheaper for longer stays. For example, a one week stay is usually about the same cost as a 5 night stay. A one month stay can cost the same as a two week stay. It is an easy way to save a lot of money and is how we could afford a month in Paris. I definitely do not recommend self catering all the time – you didn’t come to Europe to not try the food! But we would generally self cater breakfast and one other meal a day which helped cut costs. It can be easier with little kids to not eat out all the time anyway. Some parts of Europe are expensive and some are very budget friendly. 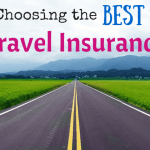 Obviously picking a budget friendly destination will make it easier to keep to a low budget. 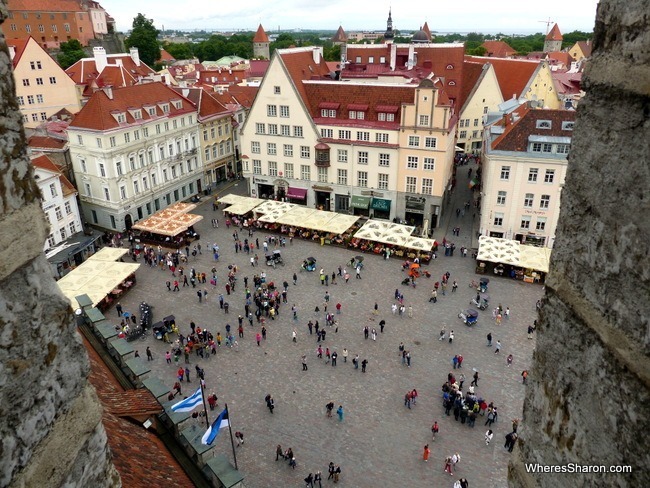 We particularly found the Baltics very budget friendly – Estonia, Latvia and Lithuania. Poland, Slovenia and Croatia also worked out well. That doesn’t mean that more expensive countries are not possible on this budget – they are. You just need to take into account the first three rules. For example, we were able to keep to this budget in France by staying in Paris for a month. We found an apartment which only cost us 25 Euros a night thanks to the longer stay. 5. Start a travel blog and offset travel costs in more expensive destinations! 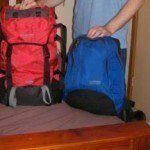 If you have a reasonably successful travel blog then you can use it to pitch hotels, attractions, transportation companies and tourist boards for travel items in return for writing honestly about it. I am very careful to keep these interactions to a minimum as they do take a lot of time, time that could be better spent earning money in other ways, and I do not want a blog that is full of sponsored content. Despite the fact that I am always honest, I worry that readers are less likely to trust me if I am never paying for anything myself. The vast majority of experiences on this site were paid for by us and the businesses involved did not know I am a travel blogger – except when I note otherwise in the articles. However, using a blog for sponsored travel is a very effective way to be able to afford more expensive destinations and to bring my readers experiences that I couldn’t have afforded otherwise but I think they would love to hear about. 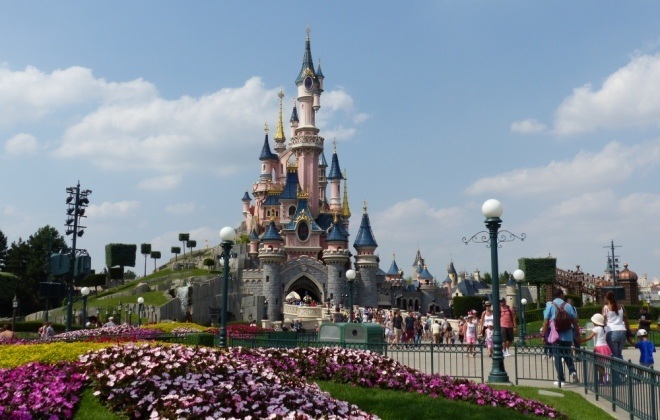 For example, when we visited Disneyland Paris or the absolutely amazing family hotel in Croatia. If you are considering starting a travel blog, check out my article here about how to get started in 15 minutes. I do warn you though, it take a fair bit of effort to get to the point of sponsored travel. That’s it! 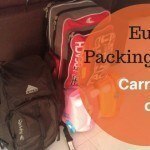 That’s how we managed to keep to a budget of 90 Euros a day while exploring Europe. It wasn’t hard and we had a great time doing it. You can read our full European itinerary here. What’s your budget travel tips? This is awesome! I haven’t actually gone through my spendings for Europe yet but I think we were around $150-200 USD a day. As you say, depends totally on how fast you’re travelling and how much you eat out. Those are huge factors! Thanks for reminding me to look back at my budget app!! This is so cool idea!! Exploring Europe with family only at $100. I must share this with my married friends. They should have a trip in their next holidays. Great article Sharon! 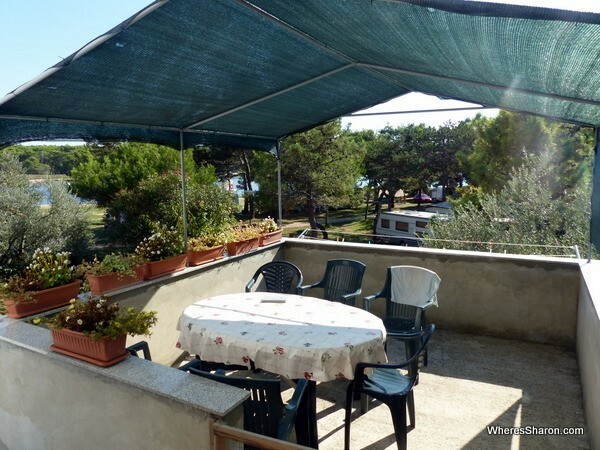 We also recommend using camping companies, that offer mobile homes, you can pick them up for around 25 Euros a night in the low season. Thanks for this! We’re traveling parents on a budget so we love articles like this. What methods did you use to get around the cities you were in? Did you rent a car while you were there? Hi Stephen! We used public transport. There was the occasional taxi on arrival but they were always such a rip off that we avoided where possible! We rented a car in Italy and Croatia. In Croatia, it worked out cheaper than public transport so that was a win! In Italy. I am not so sure but it did enable us to pack more into our time (and we did not keep to this budget in Italy). 90 Euros! That is amazing. We try to cut costs by only one or two meals out and splitting meals, but it is hard. I LOVE to eat out when I am traveling. I think my biggest expense is always food and drink. What was the hardest for you to keep in budget? Food and drink is definitely mine when I am in more expensive countries. That was definitely a challenge in Paris! Otherwise, accommodation can be hard when I am places like Asia where just a little bit more money can buy such a nicer hotel. The title alone sounds like mission impossible, so it’s really impressive that you managed that budget. Yes #5 is a tricky one and it would be much easier just to save a bit more money first I think! A year ago I would not have believed this budget but it is totally doable. Good luck! 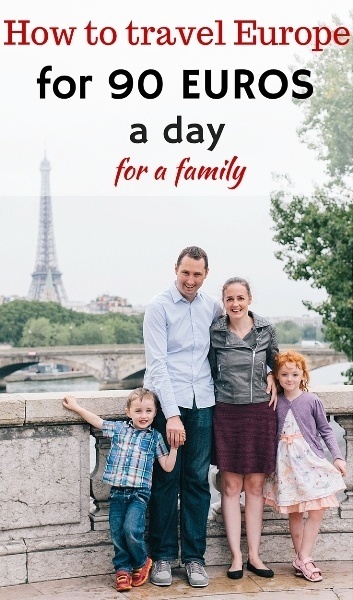 Oh wow, 90 Euros a day for a family of four, in Europe–this is incredible! We definitely agree with number two…the more time spent in one place the more affordable (and sometimes the better the experience). Super awesome tips! Thanks Nick! I have to agree with the more awesome the experience too. When I look back my favourite places tend to be the one where I spent the longest. Coincidence? I don’t think so. Not necessarily a bad thing. I have very mixed feelings about sponsored travel and avoid it as much as possible. We travel the way you describe here and it works wonderfully. In 2013 we (two adults) spent 7 weeks in Scotland for $10,400. Many people would pay more than that for a 12-day tour. No comparison in terms of cost and richness of experience. Longer stays in fewer places not only saves money, it allows you to more fully connect with the people and learn about the country. Give it a go and you’ll never travel any other way. Hi, this is very helpful as I’m going to Europe with my 5 year old in August. I organized a house swap in Amsterdam and it includes cars. So no money needed for rental car nor for accommodation near Amsterdam while the other person stays in my flat in Cape Town and uses my car. Great set up too!